The first quarter of 2011 has spoken with the hard financial numbers and curiously enough three companies captured an overwhelming 75% of cell phone operating profits in the first trimester of 2011. 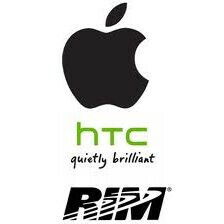 Apple, RIM and HTC combined for three quarters of all the operating profits in the industry, a figure measuring the companies’ core operations, also known as earnings before interest and tax. Analyst Horace Dediu at Asymco compiled data for both smartphones and diversified devices in the graphs below, one by volume and the other one by operating profits. The volume graph presents all manufacturers marking the ones who registered a loss in the period in blue. But what’s even more notable, is the fact that those 75% of the operating profits matched only 16% of the total volume, a correlation underlining the huge added value of smartphones reflected in the second chart. This could also serve Dediu’s point of proving that in some 3 to 5 years feature phones will virtually disappear from the phone makers lineups. Do you agree with such a conclusion? Sound off in the comments below! Wow Apple dominating the competition. IS this US data? World data? etc? Important distinction to nake here as this stuff is very different market to market. Even though RIM has been slowing down lately they're still huge in the enterprise market and are also doing well with consumers overall. There's a lot of die hard bb users. i would say the majority of blackberry users i come across are that way. its blackberry or nothing. personally, i think they are falling quite a ways behind the curve (no pun intended) BUT the way i understand it, they have a couple more models coming out, so they are still behind the 8-ball so to speak and could still put it in the pocket. Our company also uses BlackBerry's just because of the security features it offers. The World market is actaully dominitated by RIM. Oh yeah!!! Nokia and RIM!!! haha dont u love how much bigger apples portion is?